The FHP-series is a floating decanter designed for discharging supernatant liquid in SBR. It consists of a submersible pump, sludge sensor, and a float. 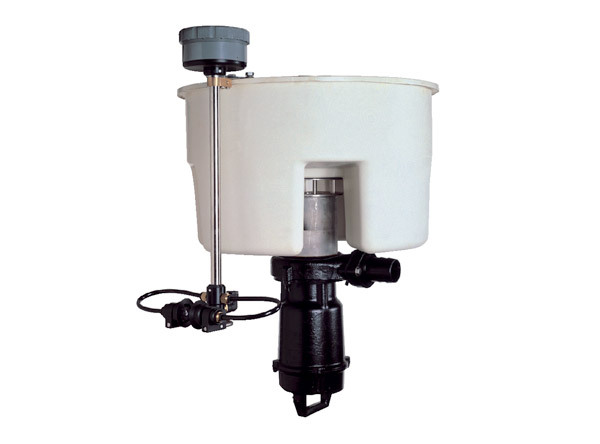 The sludge sensor is a monitoring device that prevents unexpected inflow of sludge or other sediment and helps the pump solely discharge supernatant liquid. When the pump is not in operation, a check ball incorporated in the intake closes the suction opening by buoyancy, thus preventing the inflow of floating sludge into the suction casing.